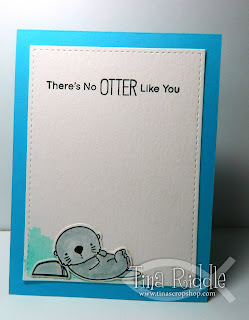 Tina's Crop Shop: PCC#230 - Love Theme - MFT Otterly Love You Again! 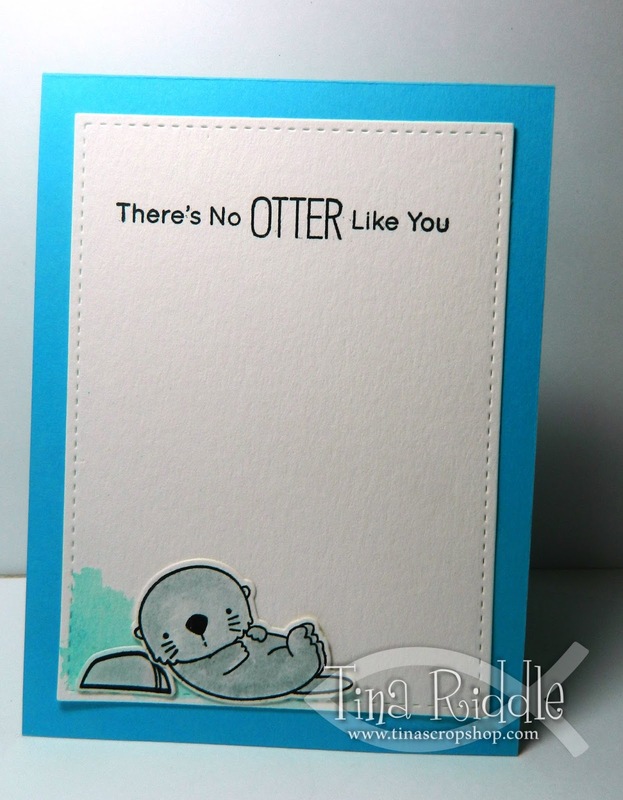 PCC#230 - Love Theme - MFT Otterly Love You Again! Hello and Happy Wednesday! I'm always happy to make it to Hump Day. I've been crazy busy at work lately and Wednesday always reminds me I've made it over the hump and am on the downhill slide! lol Well of course since it is Wednesday, it's time for another Paper Craft Crew Challenge! Since February is the month of Love, we have a Love theme challenge this week! 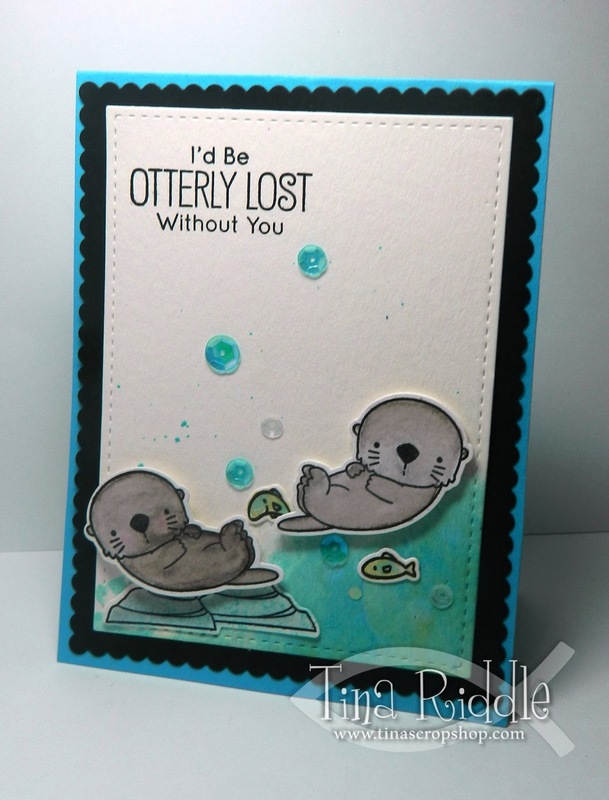 I hope you're not already sick of me and these adorable Otters but I couldn't help but have another card with the MFT Otterly Love You set again! I think they are just soooo cute! I decided to make a waterfall of sorts with some distress ink smooshing on the lower right side. I used the same colors to watercolor my fish. Everything was stamped with SU Basic Black Archival Ink since it is waterproof. I used my heat tool to make sure it was dry before watercoloring. The rocks were watercolored in gray but splashed with the same distress ink colors since the water would be splashing over the rocks. I used a distress splatter brush to make some light splatters of the blue. Zig Clean Color Markers and a Aqua Painter were used to color in my Otters prior to die-cutting. I attached my Otters with foam tape. Here's a look at the inside of the card.. I made the inside pretty simple but still that little guy is just adorable!